3-room apartment (90 m2) with a view of greenery located on the 4th floor of an apartment building with elevator. common storage in the basement, spacious balcony on the west. Layout: entrance apartment, hall, kitchen with gas stove and separate fridge / freezer, bathroom with shower and sink, separate toilet, storage cupboard with washing machine and storage space, 2 good sized bedrooms. Balcony at the rear with a view of greenery. Ample parking on site. 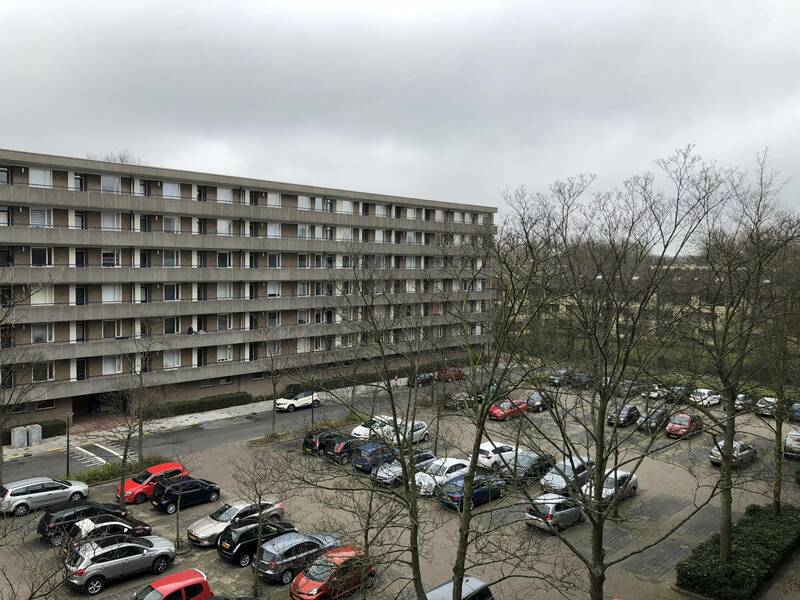 Within walking distance of shopping center Lange Voort and De Kempenaerstraat. Rent is: € 1,195 per month, including advance payment for heating, service costs and water, excluding gas and electricity.